Lagers, Gruits, and Stouts, “oh my” you say? No fear, our Beer Pros are here to help you wade the wild and wonderful world of hops and barley. We aim to suit your palate with recommendations that are sure to please. And we take pride in helping our guests become more familiar with our selections rather than intimidating them with an overwhelming list. Our friendly staff will offer up samples based on your tastes that will have you craving for your next beer experience. Or sign up for an introductory Beer U class to start your beer knowledge quest. 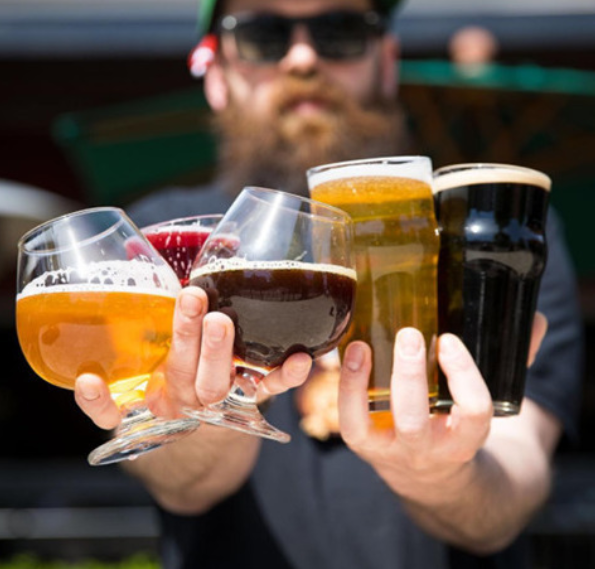 Check our event calendar for special events hosted by our Beer Pros such as tap takeovers, Beer “U” events, beer infusion events and tastings, and many more. So whether you are new to the vast world of craft and premium beer, or you are a seasoned brewmaster, Beerhead Beer Pros are eager to talk with you to expand your horizons or to swap hop stories. Drink good beer. Live happy.